"The Mass started out as a casual comment from myself to Melanie Bullivant. I said something like "wouldn't it be great if the school had the opportunity of experiencing the Extraordinary Form so that they can appreciate something about the richness of the Church's traditional liturgy, which is after all part of their heritage". This would have been as recently as about December last year. I didn't expect much to come from it, certainly not in the immediate future. Melanie mentioned it to the headteacher, and to my great joy I was told that she was quite happy for one of the regular scheduled school Masses to be in the Extraordinary Form. We decided on today, 3 March, to give time to prepare for it. "Melanie and I did the preparation for it. 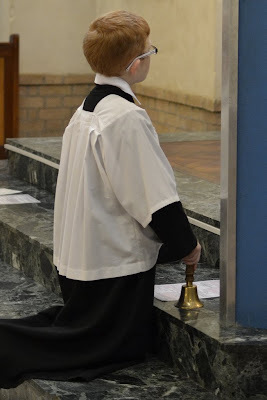 I concentrated on the commentaries, of which there were three: one given before the first hymn, one after the homily and one after the people's communion. We followed the guidelines given in "Musica sacra" (1958). They were given from a lectern in front of but outside the altar rails. 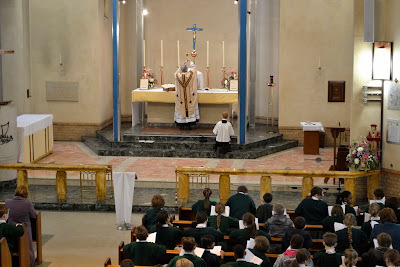 Three hymns were sung: one at the beginning of Mass, one at the offertory, and one at the end, after the Last gospel. Melanie prepared a beautiful Mass booklet with traditional illustrations. I went to the school and spoke with the children last Monday to explain the main differences between this form and the Ordinary form, and why those differences exist. 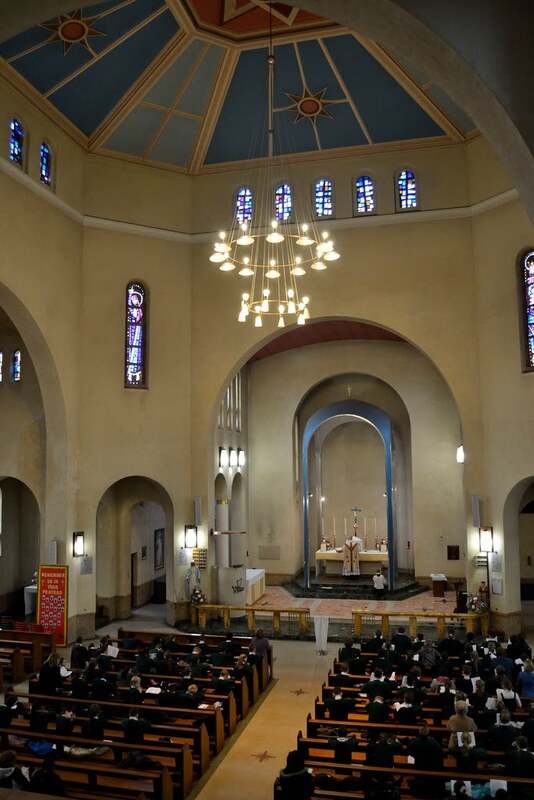 "The Mass went well: there was a beautiful atmosphere in Church and the children were reverent and attentive. One of the boys, an 8 year old, had been trained to serve, and he did well. Many parents and governors and other parishioners also assisted. The Mass was well publicised at school and in the parish. I have not, as yet, received a single adverse comment, but several praising the initiative. The idea for the future is that there will be one or maybe two of these Masses each school year. It goes to show that children can appreciate the beauty of the Extraordinary form: its not something high-brow or sophisticated and only for liturgical or antiquarian geeks! "Today has, I think, been one of the most rewarding days I have had in my life as a priest." A photo set from the Mass has been made available.